The tagline for Bruce Judisch’s The Word Fulfilled, The story you thought you knew…gives fair warning that the ensuing story will be neither uncomplicated nor predictable. The prophet Jonah leaves family and friends in Gath-hepher and heads for Damascus. His ultimate destination is, of course, Nineveh where he plans to deliver God’s message of pending doom and destruction and then head for home before the walls begin to crumble. And so this reluctant prophet heads across the trackless desert, never imagining the convergence of destinies awaiting him. Sinister forces shadow him throughout his journey, but somehow Jonah always manages to sidestep tragedy. Is this a series of curious coincidences, or could it be Godly intervention? Meanwhile, in the Assyrian Capitol of Kalḫu the King’s advisors are struggling to make sense of a series of puzzling omens. Clearly something big is about to happen…but what? Strange things are happening in Nineveh as well. A young initiate, sent to the Temple of Ishtar for her coming of age rituals, finds herself inexplicably drawn into a web of intrigue and power struggles. Much later she will come to see the hand of God in the events swirling around her, but for now it only confuses her and the strange young man who’s fallen in love with her from afar. Jonah’s message of pending judgment causes panic in the city. But God uses the chaos swirling around the Temple, the city, and Jonah’s newfound friends, to blend myriad lives into a grand finale that fulfills His divine plan. 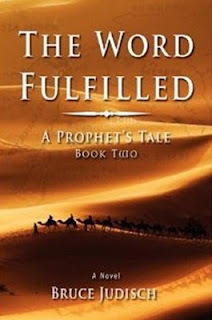 The Word Fulfilled has a cast of interesting and endearing characters moving within an historically accurate depiction of Old Testament places and events. Well-written and entertaining, the book combines multiple story lines and, with edge-of-your-seat suspense, carries them ever forward to a thoroughly satisfying conclusion. Be warned. If you pick it up, you won’t want to put it down. 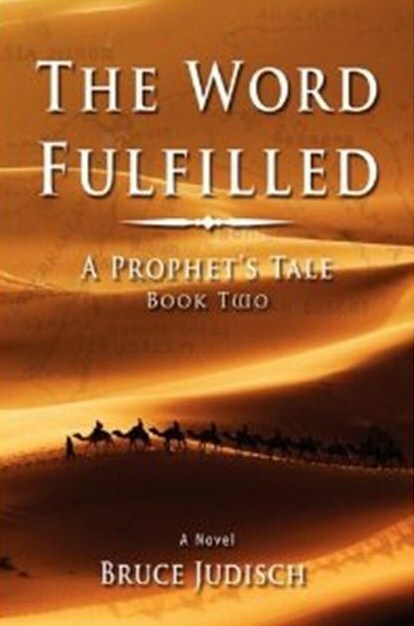 Bruce Judisch’s pair of A Prophet’s Tale books, coupled with their prequel Ben Amittai; The Call, chronicle the life of the prophet Jonah from his earliest call to the completion of his ultimate mission.